You can follow along and participate via Youtube, all of our streaming sessions are listed below. The symposia, while emphasizing the need for global harmonization, will identify ways and means to ensure interoperability, and to maximize utilization of available and emerging technologies and concepts of operations. ICAO will outline the planned evolution of the next editions of the Global Aviation Safety Plan (GASP), the Global Air Navigation Plan (GANP), and the Aviation System Block Upgrades (ASBUs) framework foreseen to be endorsed by the 40th session of the ICAO Assembly in 2019. A method to improve the operational performance of the air navigation system where performance gaps are identified will also be presented. The symposia will provide a crucial networking and knowledge-sharing opportunity, and will include presentations from ICAO, international and regional organizations, standards-making organizations and leading industry stakeholders. The opportunity to discuss identified issues and to chart the next steps to achieve a seamless global aviation system will be the primary focus of the GANIS/2. 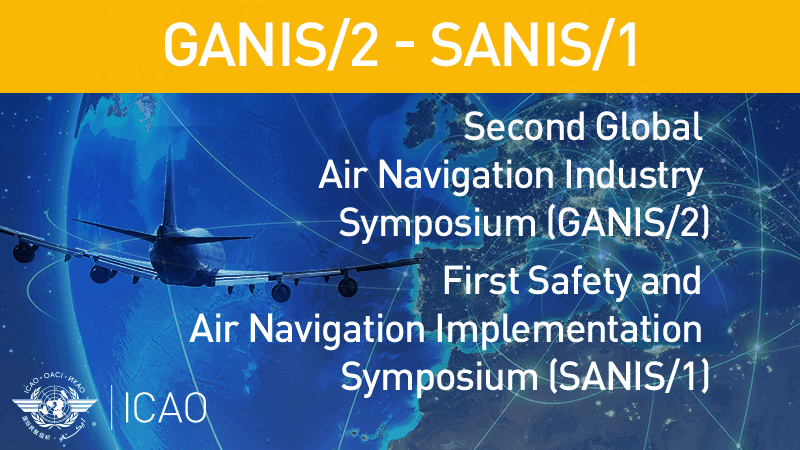 SANIS/1 will offer a performance-based implementation strategy, the opportunity to discuss the implementation aspects of the next GANP and GASP and other safety and air navigation-related topics, as well as a sharing of experience on already implemented solutions. This effort will lay the foundations for the Thirteenth Air Navigation Conference which is planned to be held 9 to 19 October 2018 and which is expected to serve as the next critical global milestone resulting in agreements and recommendations to pave the way towards increased performance of the air navigation system. to facilitate exchanges amongst stakeholders. to support implementation of meaningful operational improvements by exchanging information for the improvement of safety, capacity and efficiency through a Global PIRG/RASG Forum. Ms. Margaret Jenny, President, RTCA, Inc.
High altitude platforms, sub orbital launches, balloons that will carry people 10s of kilometers into the atmosphere, the re-emergence of supersonic civil transport – these are dreams that are in advanced stages of development and which will become flight-reality over the next few years. In this new frontier there isn’t much that is ‘traditional’. The trajectories are unconventional. The, velocities and attitudes are off the scales of the instrumentation used by current fleets. The technology may look familiar but not the way it is applied. And many of the companies have never been involved in aviation before. As aviation opens up the upper skies it is clear that regulatory and operational minds need to get together to ensure the safe orderly growth of these operations that will take us to the edge of the atmosphere. Unmanned aircraft systems (UAS) traffic management (UTM) is a rapidly developing concept that industry is looking to implement in a matter of months. What does this mean? What is the vision? Can the UTM system in one State be interoperable with those in other States? How will interoperability be achieved? What are the roles of States, industry, current airspace users and ICAO in this evolving activity? How can industry collaborate with States to create a fully functional UTM system within a timeline that supports institutional funding? These questions and more will be addressed by the panel. Industry is moving rapidly to implement UTM. What do they need from States and ICAO to enable safe, sustainable, predictable operations? What infrastructure, technologies, processes and procedures are needed to make UTM a reality? What are the operational challenges? Who will provide the technical leadership and share lessons learned? What does industry view as the primary challenges faced from regulators when developing UTM technology? How can States become a facilitator to promote the UTM industry and provide regulations that address the policy, environmental and legal issues in a timely fashion? There are several initiatives out there in various stages of development and initial operations related to Commercial Spaceflight. These concepts cover a wide range of flight profiles from sub-orbital space tourism to placing satellites into orbit. The regulatory readiness for enabling this sector is a key to its success. To that end the panel will present the latest developments in this sector and discuss the challenges that are faced by both regulators and the private sector. There are many ideas out there for what the future of transport can look like. These range from point-to- point hypersonic flights, to new types of ground effect vehicles, to multi-modal crafts (e.g. flying cars). While the divergence across the concepts are fantastical, many of the underlying enabling technologies and the innovative uses thereof are common. Artificial Intelligence, for example, is critical to the safety of operations that are beyond human cognitive abilities. Followed by a round table discussion on Commercial Space and the other concepts. As a pressing matter, different stakeholders are taking different initiatives to protect their system against cyber threats. In this respect, ICAO is working with all stakeholders to develop a network which will reduce the vulnerabilities inherent to connected systems using internet protocols. States face the same cyber challenges as industry; balancing operational needs and cybersecurity requirements, but with the added complexities of managing and maintaining critical infrastructure. Meanwhile, industry continues to quickly adopt advanced widely-impacting technology faster than national policy can be adopted. Learn the coordination efforts and initiatives being taken between industry and governments to maintain the cybersecurity, cyber safety and cyber resilience (both political and operational) of the aviation system while focusing on maintaining aviation’s enviable safety record. Moderated by ICAO Air Navigation Bureau Director, this panel will address the challenges identified in the different streams and identify the way ahead. The importance of developing new implementation strategies in order to manage current and future challenges will be presented. In addition, how to become more effective and efficient in terms of Planning and Follow-up in the development and implementation of SARPs, Global and Regional Plans will be discussed. This session discusses about the need for a transformational change, the readiness of the current system for the forecast demand, major constraints for its evolution/progress as well as traditional concepts related to safety or access and equity in this context. The goal is to obtain feedback as we move forward to the Thirteenth Air Navigation Conference. This session discusses the main challenges identified by the different stakeholders and how to mitigate them to be reflected in the GANP. The goal is to obtain feedback as we move forward to the Thirteenth Air Navigation Conference. Michael Comber, Director, Member and External Relations, ICAO, IATA. The session focuses on how in a time of change, the GANP supports more than ever, air navigation implementation in high-income economies and brings new opportunities to low-income economies to leapfrog other countries in air navigation performance by adopting technological innovations that are suitable to their specific needs while ensuring global interoperability and seamlessness. This session discusses about the rationality behind this approach to implementation, including safety and environment benefits. The goal is to obtain feedback as we move forward to the Thirteenth Air Navigation Conference. William Voss, former Director of the Air Navigation Bureau and USA Air Navigation Commissioner representative. NAANP- From the GANP to the NAANP. The New Southern Sky Concept of Operations 2023. Leapfrog the more advanced ANS with technological innovation and become international leaders on the provision of air navigation services. 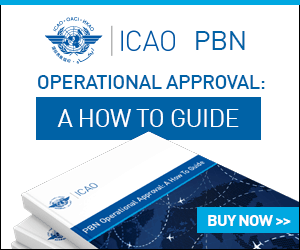 A decision-making support tool developed by ICAO for enhancing the performance of the air navigation system based on the deployment of operational improvements outlined in the ASBU framework is presented. This session discusses the advantages and challenges of a performance based approach. The goal is to obtain feedback as we move forward to the Thirteenth Air Navigation Conference. Examples of conceptual ideas rolled-out into operations will be presented. These presentation will cover the processes followed, issues encountered and best practices learned from these implementations. Study cases: London time-based separation on final, free route airspace, remote tower and SWIM demonstrations. The Aeronautical Information Management (AIM) concept implies the origination, management, sharing and integration of time-sensitive, digital aeronautical information among all members of the global Air Traffic Management (ATM) community in a safe, secure and efficient manner. In fact, the ultimate objective of AIM is to provide users with information they can trust. States have been taking significant efforts to be proactive and aligned to implement processes, procedures and systems that allow the provision of quality-assured, relevant and mutually understood aeronautical information in an interoperable manner; however many challenges remain that State`s organizations have to face on daily basis. In order to address those challenges ICAO has developed an AIM Implementation Strategy which aims at understanding “what is missing”, identifying the priorities associated with those issues as well the possible solutions for a harmonized implementation. This forum will be an important opportunity to gather feedback on the proposed strategy and identify the best way forward that is beneficial to the AIM community. A panel, using the examples presented in the stream, will discuss the approach to implementation. This panel will try to identify key elements necessary to ensure a safe and smooth implementation of new solutions.